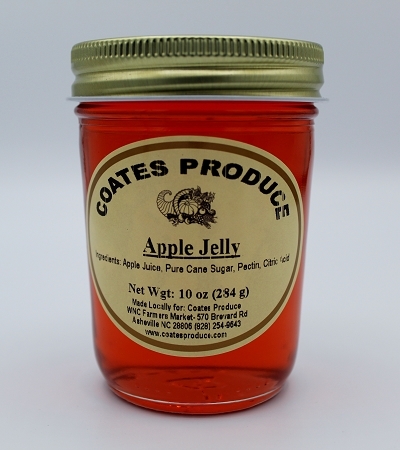 Our Apple Jelly is made from local apples in small batches and hand stirred. All you need is biscuits and butter. Ingredients: Apple juice, Pure Cane Sugar, Pectin, Citric Acid. This is one of the best apple jellies I've ever had. I love the fact that it's all natural. And there's no high fructose corn syrup!